The inaugural Dezeen Hot List has revealed that that biggest names in fashion – as far as Dezeen readers are concerned – are Chanel, COS and Dior. Chanel is the highest ranking fashion name on the Hot List, the most comprehensive data survey of architecture and design media ever conducted. The 400-strong list reveals the key players and emerging talents in the design world – based entirely on audience data from Dezeen. But as Dezeen is not a fashion site, the dedicated Fashion Hot List offers an insight into which fashion designers and brands have made the biggest impression on the design world. 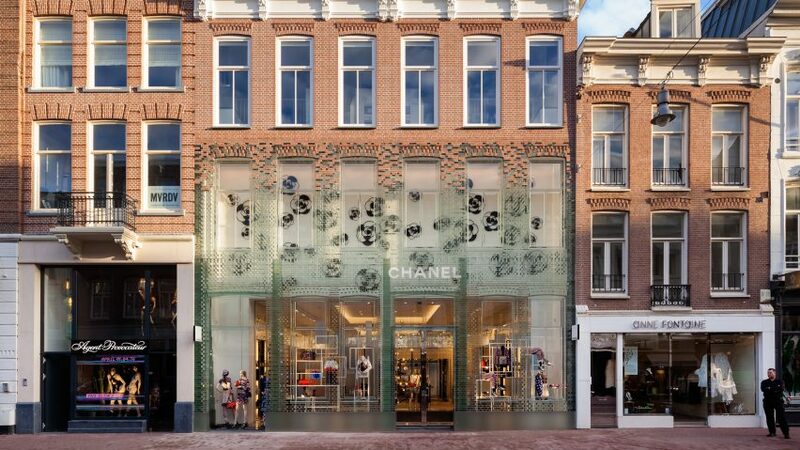 Chanel's success can be attributed to the success of one project – the glass-brick facade designed by MVRDV for its Amsterdam store. The list also shows that COS is the most popular high-street fashion brand for Dezeen readers. The company's fast-growing reputation could be attributed to its ongoing collaborations with designers like Sou Fujimoto and Nendo. Dior ranked third, helped by the popularity of its Seoul store designed by Christian Portzamparc and Peter Marino. At number four, Issey Miyake is the highest-placed fashion house to make the list based on clothing designs, while trend forecaster Li Edelkoort is at number five, for declaring that "fashion is dead". Camper (number six) makes the list for its ongoing commitment to commissioning interesting stores from a variety of designers, while Prada (number seven) held readers' attention for its longstanding relationship with Rem Koolhaas. Iris van Herpen is perhaps the most interesting fashion designer on the list in her own right, making number eight for her ongoing experimentation with processes such as 3D printing and laser cutting, as well as her cutting-edge aesthetics.